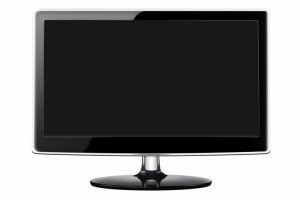 A B & B Electronics in Tustin CA provides quality TV repair on all major brands of Direct View, Big Screen, Plasma, DLP, LCD flat monitors, Projector, Camcorder, Laptop, Camera and LCD TV (including HDTV and HD ready). Repairing your stereo and radio system costs less than a new replacement system, and we aim to satisfy our customers by providing a quick turnaround on our stereo repair services and address all known problems to assure future reliability.A B & B Electronic also offers professional stereo and radio repair service on all popular and unpopular brands. We have set the standard for quality and service in this field. Many others businesses have adopted our business model because of this reason. We also service local customers. A B & B Electronics has developed strong relationships with the lifeline of our industry, manufacturers. Our goal is the same, customer satisfaction through teamwork. These relationships attained over time give support to each other through customer relations, parts availability and technical support. Our company meets the service needs of all our manufacturers, and offer fast, quality repair service to our Customers. When it comes to turn table repair in Tustin CA, DJ’s have one choice: A B & B Electronics. A B & B Electronics has been in business for over 40 years, and specializes in a wide variety of turntable service and audio equipment repair. Don’t just let anyone install your expensive Flat Panel TV. Protect your investment and leave it to a professional and affordable company with more than 4 decades of industry experience. We can make things more comfortable and easier to use than ever. 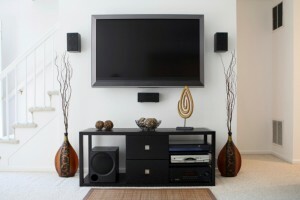 A B & B Electronics will design and install all your components to get the best from your new audio/video equipment. Call us today on (714) 838-1122!